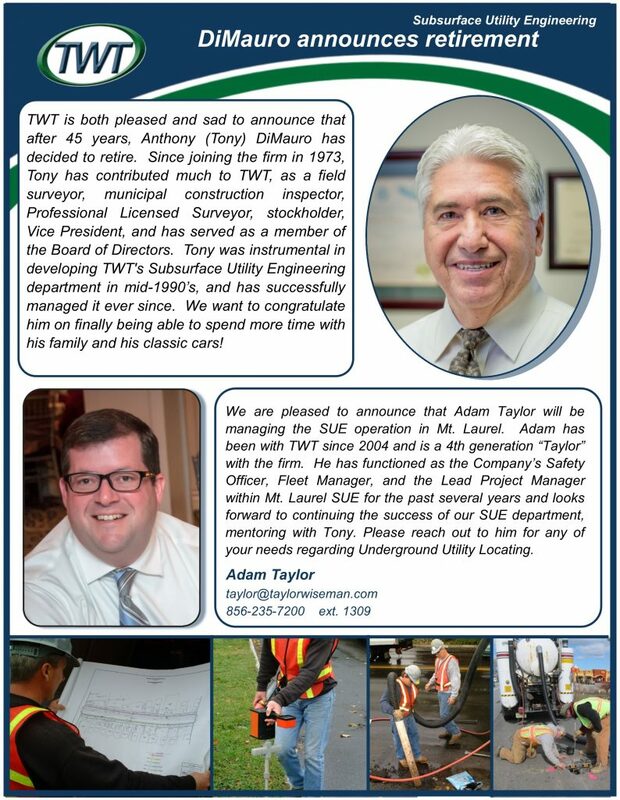 TWT is both pleased and sad to announce that after 45 years, Anthony (Tony) DiMauro has decided to retire. Since joining the firm in 1973, Tony has contributed much to TWT, as a field surveyor, municipal construction inspector, Professional Licensed Surveyor, stockholder, Vice President, and has served as a member of the Board of Directors. Tony was instrumental in developing TWT’s Subsurface Utility Engineering department in mid-1990’s, and has successfully managed it ever since. We want to congratulate him on finally being able to spend more time with his family and his classic cars!